Having made several career changes on top of each other, too much of my energy the last three months has been consumed by the past, obsessing over my mistakes — wishing I had been wiser, lamenting my bad boundaries, craving a redo, fixating on the joy I once felt sitting at my old cubicle. At times the ruminations were debilitating, as I believed that returning to the past was the only way out of my distress. I felt as if I were blindfolded in a large, empty auditorium — stretching my arms out, hoping to touch a wall and get my bearings. A wise man recently told me that the way out isn’t the way in, and that the answer seldom lies where we’re looking. Our brains naturally look backward when we are in pain because that is what is familiar. Our gray matter latches on to happy memories, trying to salvage the joy we once felt. By trying to recreate the memories we inevitably arrive at more pain. Moving forward is the only way we heal. Its uneven path is the one route to peace and sanity. Creating something new can often pluck us out of regret and fantasies of the past and plant on the path to healing, shifting our energy from yesterday to today and tomorrow. Activities such as planting a flower or composing a piece on the piano promote the formation of new synapses in our brain. When we experiment with something we’ve never done before, our neurons feel their way to other neurons and form connections that result in more emotional resilience. 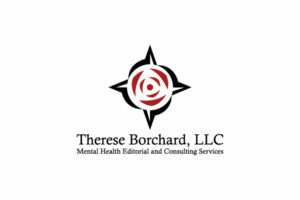 In the last six weeks, starting my own consulting company, Therese Borchard, LLC, has proven to be a powerful intervention of hope. It wasn’t a strategic enterprise I had been formulating for years. It happened organically, growing out of my work with different websites and companies throughout my career as a mental health advocate. I believe that sometimes God or the universe intervenes in your life, handing you a set of directions that you weren’t anticipating. When that happens, I have learned it’s best to say a prayer, take a deep breath, and follow the instructions. In the 1989 movie “Field of Dreams,” Iowa farmer Ray (Kevin Costner) hears a mysterious voice in his cornfield saying “If you build it, he will come,” referring to his baseball hero “Shoeless” Joe Jackson. That’s essentially what happened to me. The seed was planted one afternoon as I volunteered with an academic center. My contact there encouraged me to get my LLC status, which was easier than I thought. Suddenly I received requests from a few different organizations needing help with content development and consumer engagement. 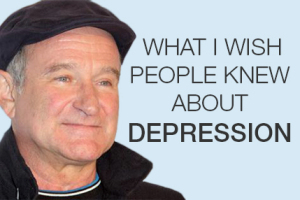 I am doing much of what I have always done the last 13 years of my career – writing and speaking about mental health. 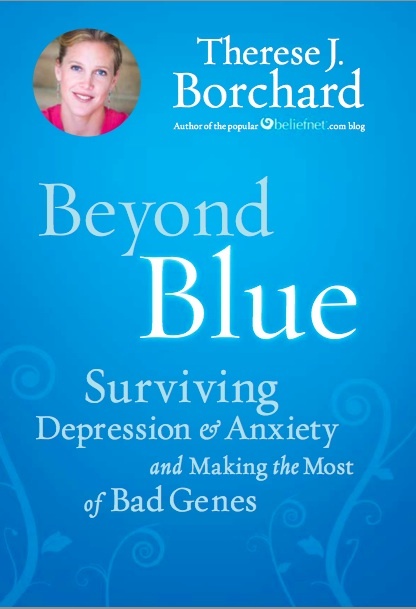 But I have widened my vision to help healthcare companies, academic institutions, and nonprofit organizations better understand and connect with persons with depression and other mood disorders. 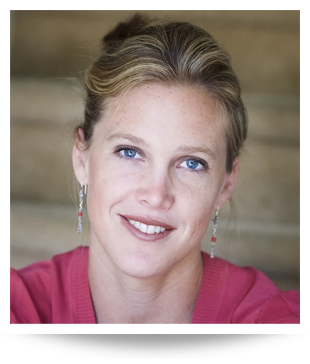 Having lived with depression my entire life and having experimented with practically every kind of treatment available, I feel qualified to share insights from the trenches that they can use to build impactful campaigns, initiatives, and programs. Designing a logo, business cards, and a website have all been healing activities, recorded in my “Moving Forward” binder. So has moving into my own office where framed inspirational quotes line the wall, reminding me to look forward, not backward. Each effort helps me shift my perspective from grief to potential. Our brains are programmed to think in reverse because they can file memories more easily than forecast new experiences. Discipline and perseverance are required to concentrate on today and tomorrow. However, if we pay attention to (and possibly record) all the simple tasks we do in a day to move forward, like taking a shower, we create a momentum pushing us ahead. We send a powerful message to our limbic systems (emotional center) that we are choosing promise and hope over grief and regret. And when that gets difficult, I highly recommend Milk Duds. Great move. Congratulations and all the best! So pleased for you Therese that you are able to move on. Something we all have to do but something I really struggle with. Good for you Therese – and for those you help. Great news! You will be such a success at this Therese. It seems like a perfect next step forward. Best wishes and God bless! What a wonderful move! God blessing to you on this part of your new journey. Best wishes, Therese, on your new venture. I love your logo, the “little flower” (rose) of St. Therese. Thank you for sharing, Therese. I have experienced the chronic pain of generalized anxiety and episodes of depression for my entire life, especially since becoming a parent 35 years ago. Above all, growing up Catholic, I have sought God through Jesus Christ, with what I have meant to be my whole heart, for the last 20 years. Therapy, medications, healthy living, and loving Christian servanthood have characterized my therapeutic journey. I am only recently experiencing some symptom relief. PTL!! 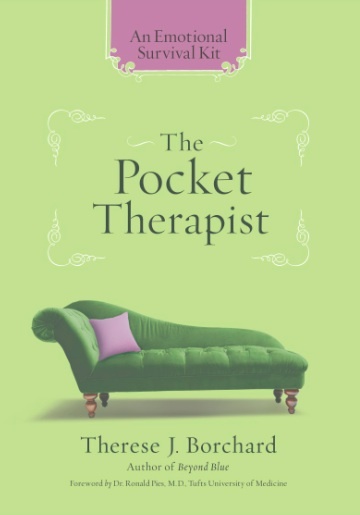 Things that have changed. . .l began seeing a new therapist weekly who is trained in Dr. David Burns MD’s T.E.A.M. CBT therapy which is a research-based refinement of the CBT he helped pioneer. See his website FeelingGood.org and particularly check out the robust collection of podcasts. Resources offered on the website are free. I have also radically reduced my carbohydrates over the past year and reversed age-related prediabetes. I’ve recently gone grain-free per a book my chiropractor recommended, Undoctored by William Davis, MD. Finally, I have invested myself in Celebrate Recovery, the Christ-centered 12-step program out of Rick Warren’s Saddleback Church. I have never felt more transparent, connected, and supported in my walk. I realize I sound like a commercial, but I’m just eager to share with others who experience this form of chronic suffering. Be blessed! Hooray! Best wishes and prayers for a great new journey. The Lord is Blessing you on this Journey. Thanks for all the words you’ve written, that have helped me and given me hope. I needed this post! I too have been stuck mourning mistakes made that led to a job I liked becoming unworkable (granted, it was not all me, of course – but there are days when it certainly feels that way). In the last two weeks though, I have been trying to look forward more and it has certainly helped me feel better about myself and about life. 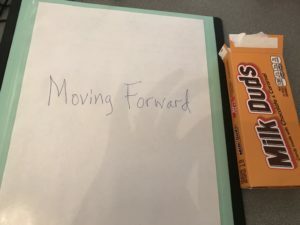 I love the idea of the Moving Forward folder and may have to make one of my own. I’ve never really had an answer when asked who I looked up to, or who my role model was. Abe Lincoln maybe, but that was only based on a vague sense of who he might have been. I never felt like I fit in anyhow, highly sensitive, manic depressive and adopted, I just always felt different. In the darkest of times 6 years ago, I read your book and logged on to GBB and found I did fit in! You have turned your struggles into a beautiful place of belonging, not always the happiest place, but the beautiful thing is that there it is okay not to be happy and not to know why. 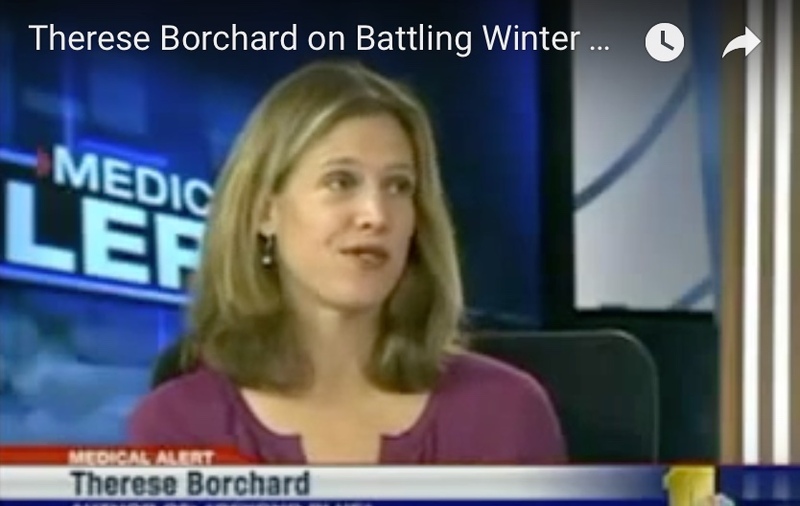 You are my hero Therese for battling so hard for others and for continuing to do so. Now, not only do I fit in, I have a role model ❤️. Thank you so much, Susan. That’s beautiful. What a terrific piece of writing and even more of an inspirational start of a longer story! Congratulations Therese! Hi Therese! I always look forward to reading your insightful messages. Thanx for sharing. I’ve survived an episode of sexual abuse that I had buried, and it led to agoraphobia, depression, and anxiety. Needless to say, it totally impacted my life in a very negative way…divorce, loss of friends (were they really friends; probably not). However, at 70, I’m doing okay, particularly because of my kitty. God has a plan for each of us, and He always watches over us. Be kind to yourself. Therese, You have helped me more than you know. For some reason every time I am really struggling, your post is in my email. ” Moving forward” and how our brains naturally look backwards hit me hard as that is what I keep doing with a relationship that ended. Just validation that it is common and your words of hope, give me strength to get past the fear of starting over, especially at my age. Thank-you most sincerely. I too have had waves of depression and anxiety most of my life. I will be okay!